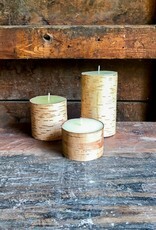 These birch candles bring some light to the long, dark days of winter here in the Adirondacks. 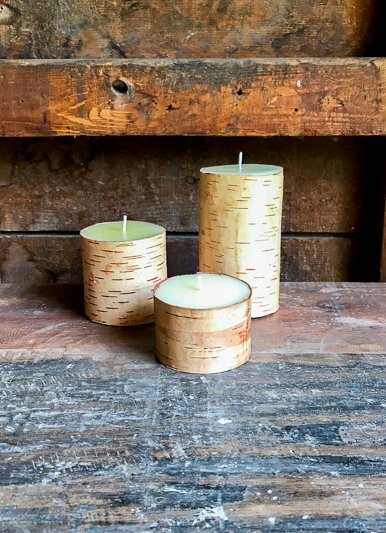 Classic birch bark pillar candles look at home in the mountains for camp or at home in the city when you crave some of that rustic Adirondack home decor. Bring in the feel and energy of the Adirondack mountains, even when you're far away. 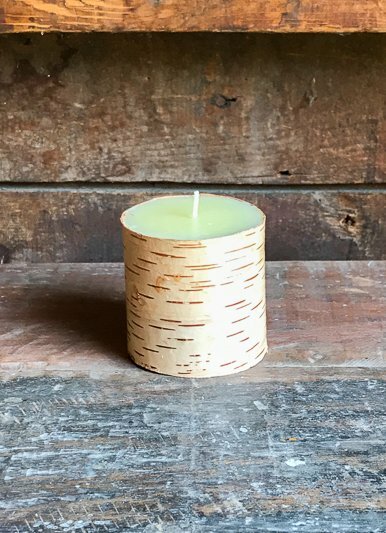 These wonderful birch candles make outdoorsy additions to your dining room table, living room, or wrap around porch cast a soft, warm glow that will remind you of the sweet sounds of the Adirondack forest. These are wonderful rustic candles for weddings or other outdoor events, too. 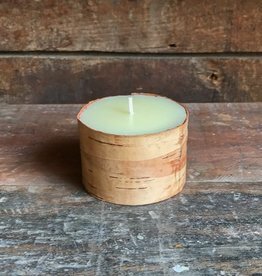 Crafted in California by Zodax, these birch candles are made with 100% bleach free cotton wicks for even, long-burning candles. 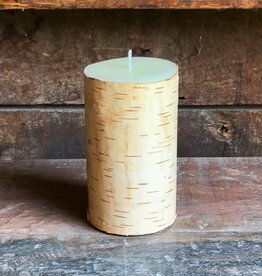 Because of the natural variations in the natural birch bark wrapped around the wax pillar candles, no two birch candles are exactly the same. 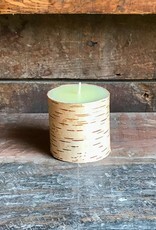 These birch bark pillar candles measure 3" x 3" and are sold individually. Elizabeth and Wells would like 3 of these candles.